Dementia takes so much from your aging adult for a long time. But as she nears the end of her life, dementia can also rob your senior of her ability to let you know what’s going on with her. That’s why you have to be a little more observant of what is happening. An elderly family member with dementia may not be able to communicate effectively with you. Near the end of her life, this becomes even more complicated. She’s unable to let you know when she’s in pain or when she’s experiencing discomfort. It’s up to you to watch for her particular signs. These might include restless behavior, vocalizations, or just grimacing. Your senior may not be able to control her body movements as well as she nears the end of her life, either. You may want to use pillows or ask hospice care providers for an adjustable hospital bed. This is helpful because you can adjust the bed to different angles depending on what your senior is doing or what she needs. As your elderly family member gets closer to the end of her life, she’s far less likely to be eating and drinking as she did in the past. That means that her mouth can easily dry out and become irritated. Offer her ice chips or water, if she’ll drink it. She may also benefit from lip balm and an occasional damp cloth blotted across her lips. Some of what you might experience during this time with your senior might be alarming. If she vocalizes when she’s in pain, for example, she may suddenly shout or moan loudly and that can be incredibly disturbing for you to hear. It’s really important that you’re not alarmed by these situations and that you react in the way that she needs you to react. If you’re not able to do much else for your loved one during this time, simply sit with her. Hearing your voice and knowing that you’re nearby can do a lot to help her to remain more comfortable than you might think. That feeling that she’s not alone can be really powerful. 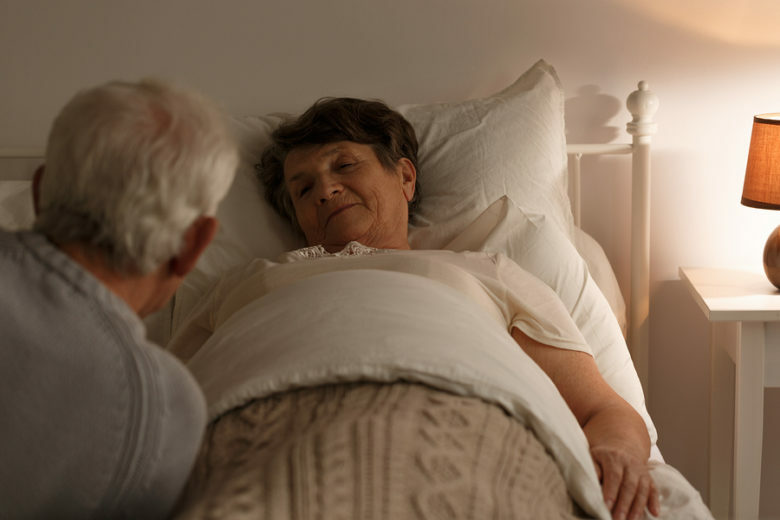 Having experienced hospice care providers available with you can make this situation much easier on both you and your aging adult. They can help you to navigate learning your senior’s discomfort signs and give her the help and the dignity that she needs at this time. If you or a loved-one are considering end-of-life care in Atlanta, GA, please call the caring staff at Arcturus Hospice and Palliative Care today. Call 678-383-9973 today to speak to our care team.